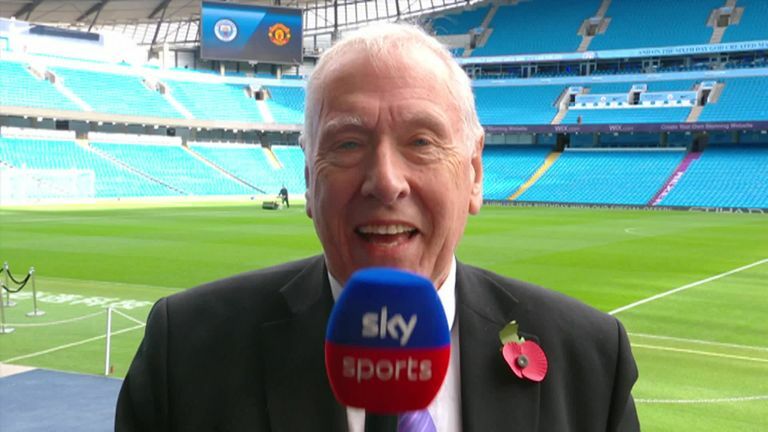 Martin Tyler's stats: Where would Arsenal be in the table if games finished at half-time? Where would Arsenal be in the table if games finished at half-time? Who is the most potent defender for headed goals? Sunday's game was the 159th league derby between Manchester City and Manchester United. It was City's 46th win, they have drawn 51 with United winning 62. In all competitions they have played 177; City have won 52, drawn 52 and United have won 73. David Silva was the most experienced City player in the derby, making his 16th appearance against United and scoring his fourth goal. The other three came at Old Trafford. It was his fourth goal in five in all competitions this season. Sergio Aguero scored his ninth goal against United in his 13th game against them, which puts him level with Bobby Charlton for Manchester derby goals. Wayne Rooney still holds the record of 11, while Joe Hayes and Francis Lee, formerly of City, have 10 derby goals. Anthony Martial scored his sixth goal in his last five Premier League games in his 150th Manchester United appearance in all competitions. Jose Mourinho was taking charge of his 300th Premier League game - and he's only lost 44 of them. That's not bad, is it? Ederson gave away a penalty for the second successive Premier League game, having done so against Southampton. That was the fifth goal he has conceded in the Premier League this season. Dejan Stankovic, Willy Boly, DeAndre Yedlin and Danny Ings are the only other scorers against City this season. MARTIN SAYS: Remarkably they would be battling against relegation! Arsenal, along with Cardiff, are the only two sides in the Premier League yet to be leading at half-time in any of their matches so far this season. From their 12 games, they've been level at the break nine times and behind three times, including against Wolves on Sunday. 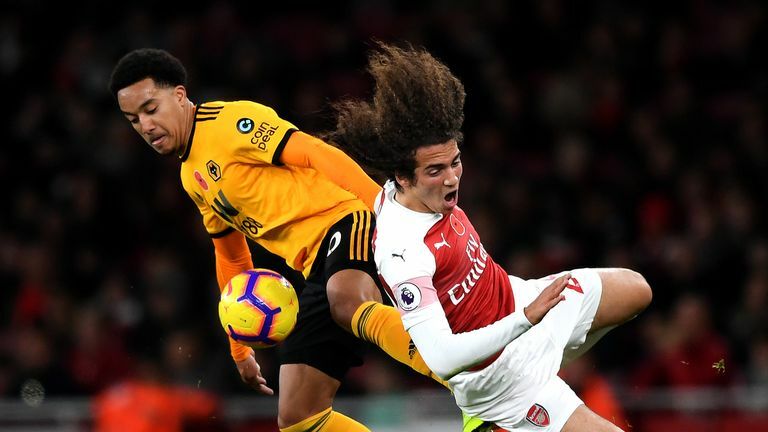 Highlights from Arsenal's draw with Wolves in the Premier League. As you can see below, if the Premier League table only included results at half-time, then the Gunners would outside the drop zone only on goal difference, just ahead of Fulham, Huddersfield and Cardiff. At the top of the table, Manchester City would still be leading the way, taking 30 points from a possible 36 - they've yet to be behind at the break this season. Crystal Palace would have seven more points, showing their tendency to let leads slip in the second half. Defensively, they've also only conceded three first-half goals which is the same as Manchester City. MARTIN SAYS: Dunk has a fair way to go in order to threaten the top-10 - his tally of two headed goals is 25 behind the current all-time leading Premier League headed goalscoring defender John Terry. His tally of 27 isn't likely to be beaten anytime soon as the closest current player to him in the all-time list is Vincent Kompany with 10. Sami Hyypia chipped in with a fair share of goals at Liverpool with his head (17), in fact, he scored at least one in every season he represented the Reds. Terry is also the top-scoring defender outright having scored 41 goals for Chelsea - an achievement made even more impressive because it included no penalties. In comparison, defender David Unsworth, who scored 38 goals and is second on that list, netted 22 penalties in his career. 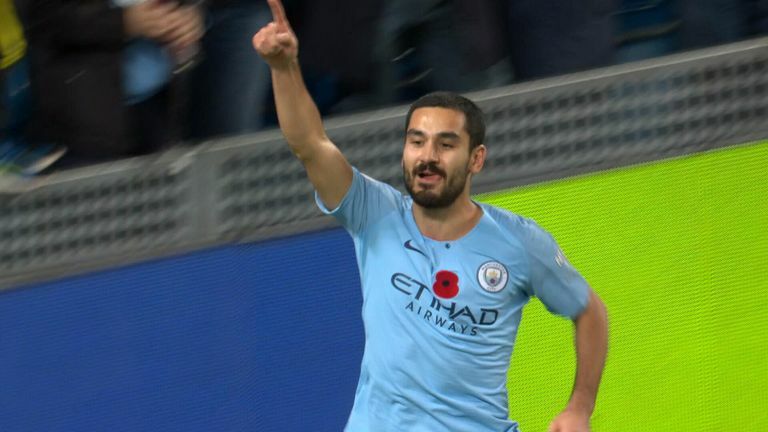 MARTIN SAYS: Gundogan's goal, at the end 44 passes, wrapped up the points for Manchester City on Super Sunday. The goal consisted of the most passes for a goal in the Premier League since Juan Mata scored for United against Southampton in September 2015, where they put together 45 passes. Mata put the finishing touch on that after Memphis Depay's shot had come back off the post. However, that passing sequence wasn't quite enough to go to the top of the list in terms of Premier League goals scored since the 2006/07 season when Opta starting collecting the data. Mata's effort sits second in the list behind Tottenham's 48-pass sequence against QPR in 2014 with Nacer Chadli scoring in a 4-0 win. MARTIN SAYS: Tottenham have won 1-0 in each of their last five Premier League meetings with Crystal Palace. It's the longest run of consecutive identical results between two sides in the history of the Premier League. 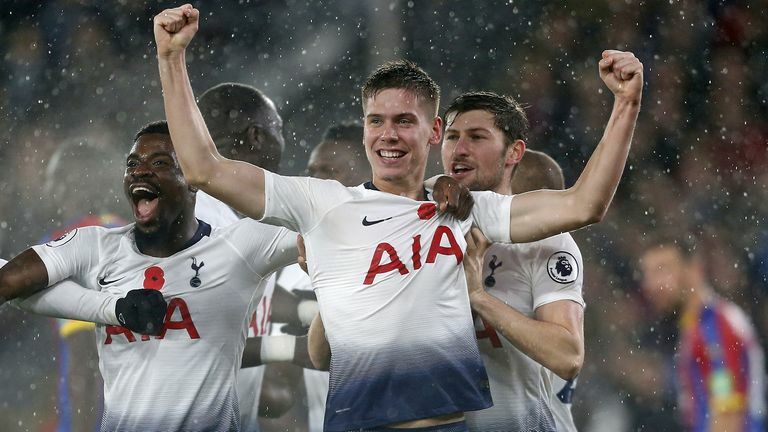 Tottenham are also second on the all-time list after a run of four straight league matches finished 2-1 against Manchester City between 2005 and 2007. The only other time four consecutive results have ended in the same scoreline was when Nottingham Forest and Middlesbrough drew 1-1 between 1996 and 1998.